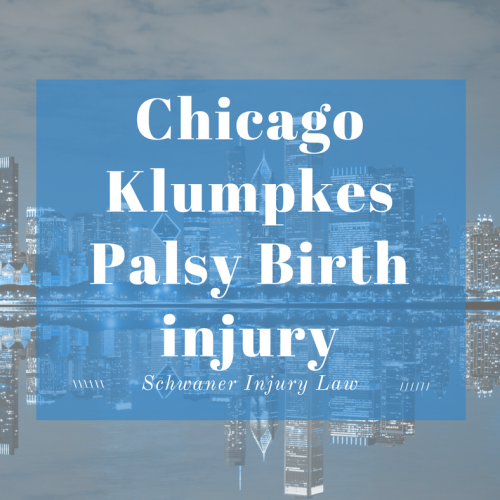 Klumpke’s Palsy Birth Injury Guide and Information for Chicago, IL. For parents, the birth of a child is one of the most important moments of their lives. A successful birth, however, often rests in the hands of the physician tasked with delivery, and sometimes, mistakes happen that are devastating. One rare but debilitating birth injury is Klumpke’s palsy, an injury of the brachial plexus nerves, a bundle of nerves that runs from the spine through the neck and into the arm that controls movement of the arms, hands and fingers. Like Erb’s palsy, Klumpke’s palsy is a complication of shoulder dystocia, which occurs when the baby’s shoulders become trapped against the pubic bone because they are too large to pass through the birth canal. 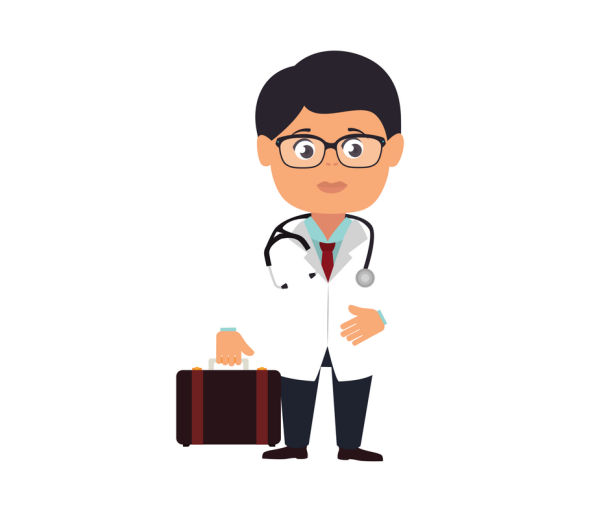 While there are maneuvers a physician can perform to lessen the risk of traumatic injury, those maneuvers are often neglected, which can cause the brachial plexus nerves to stretch, rupture or pull away from the spine completely. Klumpke’s palsy – also known as Dejerine-Klumpke palsy – refers to injuries that impact the muscles of the forearm and hand, caused by damage to the lower brachial plexus. Infants with Klumpke’s palsy can experience a range of different injury levels, ranging from weakened muscles of the forearm, wrist, hand and fingers to complete paralysis in the area. They can also develop a drooping eyelid on the side of the face opposite from the brachial plexus injury, which is known as Horner’s syndrome. The most common symptom of Klumpke’s palsy is “claw hand,” which is a tightening of the wrist and fingers while the forearm lies flat. An arm that is weak or paralyzed. A lack of sensation in the arm or hand that is affected. Numbness or severe pain in the arm or hand that is impacted by the injury. Stiff joints, including the wrist or elbow. Klumpke’s palsy, like other brachial plexus injuries, is usually the result of a baby with a high birth weight being born to a small mother and experiencing difficulty passing through the birth canal. A rough extraction, whether manual or with the use of assisted birthing devices such as forceps or a vacuum extractor, can damage the lower brachial plexus nerves, leading to Klumpke’s palsy. Neurapraxia, which occurs when the brachial plexus nerves are stretched. Neurapraxia can often heal on its own, usually within three months, and most children will develop normally with a full range of motion. Neuroma, a more serious stretching injury that leads to scar tissue that permanently damages the nerve. Physical therapy or surgery to remove the scar tissue can help lessen the degree of disability. Rupture, a nerve that is stretched so far that it tears. The damage of this traumatic injury can be lessened through treatments including surgery to graft healthy nerves from and another area of the infant’s body, which can help restore some feeling and flexibility to the parts of the arm impacted by the injury. Avulsion, a tear that is so severe that the brachial plexus nerves are severed from the spinal cord, ending the transmission of signals to the arm. Paralysis is the most common outcome, although nerve grafting is also being used to help treat this permanently debilitating injury. Because Klumpke’s palsy impacts only the lower nerves of the brachial plexus, it is often the result of neuropraxia. That means that in most cases, a full recovery is possible. According to statistics from the National Institute of Neural Disorders and Stroke, most babies that develop neuropraxia-related Klumpke’s palsy make a full recovery, usually without medical intervention. More serious injuries, such as neuroma or rupture of the lower brachial plexus nerves can lead to lifelong disabilities. While treatment for Klumpke’s palsy depends entirely on the severity of the injury, physical and occupational therapy can often help restore some range of motion and mobility in cases of severe stretching, while surgery to either remove scar tissue or graft nerves has the potential to restore some mobility and range of motion. Still, Klumpke’s palsy injuries typically don’t respond as well to physical therapy as other brachial plexus injuries, meaning that in severe cases, the injuries are likely to last a lifetime. The mother has previously given birth to large babies. The mother has a small pelvis. The mother has developed gestational diabetes. The mother has had a prior cesarean section. The mother has gained an excessive amount of weight during the pregnancy. The mother’s age is older than the majority of new moms. Ultrasounds and measurements suggest that the baby is larger than average. If risk factors are present, a Cesarean section is often the best way to prevent Klumpke’s palsy. What Should I Do If My Child Develops Klumpke’s Palsy? If your child loses mobility and sensation to the forearm, wrist, hand or fingers as a result of an injury to the lower brachial plexus nerve bundle, resulting in Klumpke’s palsy, it’s vital that you seek out the advice of an experienced attorney. Because Klumpke’s palsy is most often the result of a medical mistake – doctors either overlook risk factors, disregard ultrasounds showing that the baby is likely to be larger than normal or are too aggressive during the delivery process – you may be able to collect damages due to medical negligence. 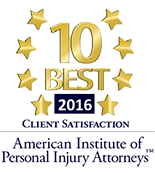 Because severe cases of Klumpke’s palsy will require lifelong care and will diminish your child’s earning capacity, it’s important to find an attorney with experience in medical malpractice law and brachial plexus injuries. A settlement will require compensation to cover physical and occupational therapy, surgery, pain and suffering and more, and the right Chicago-based attorney can make that happen. That will allow you to get back to the business of helping your baby find the most appropriate care available to treat his or her birth injury.